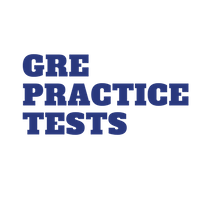 GRE Verbal Test is most difficult and requires maximum preparation. Vocabulary is the key component in GRE Verbal exam. There are lots of question in GRE Practice Test. We have 20+ GRE Mock Tests. Each time you begin the test the GRE Test crawler (for GRE vocabulary) will get new questions taken randomly from a pool of hundreds of questions. After the test, you will get GRE score. We have included questions on Text Completion and Sentence Equivalence. Non US Citizens have Higher mean score in Quant (~158) and lower verbal score(147). Test Takers from China have a mean GRE Quant. score of 164 and Australian takers get an average score of 158 in verbal section. Sentence Equivalence questions consist of a single sentence with just one blank, and you have to find two choices that lead to a complete, coherent sentence while producing sentences that mean the same thing.